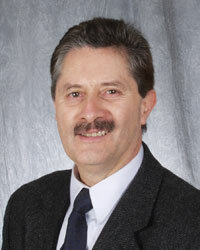 Claudio Stöckle is a Professor in Biological Systems Engineering at WSU Pullman. He has a BS and MS in Agricultural Engineering and an MS and PhD in Soil Physics. Claudio’s research focus is on the development and application of analytical tools to study, understand and manage the interaction between soil, weather, and crops. He is particularly interested in modeling the environmental impact of agricultural production at the field and water shed levels and in further enhancement and support of the Agricultural Crop Systems Modeling Software (CropSyst) he as developed.